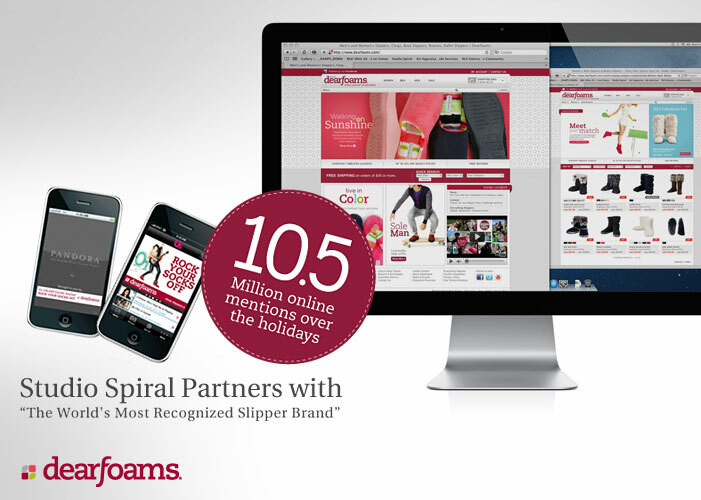 Dearfoams.com - Work - Studio Spiral - 360 Marketing. Online. In Print. Video. 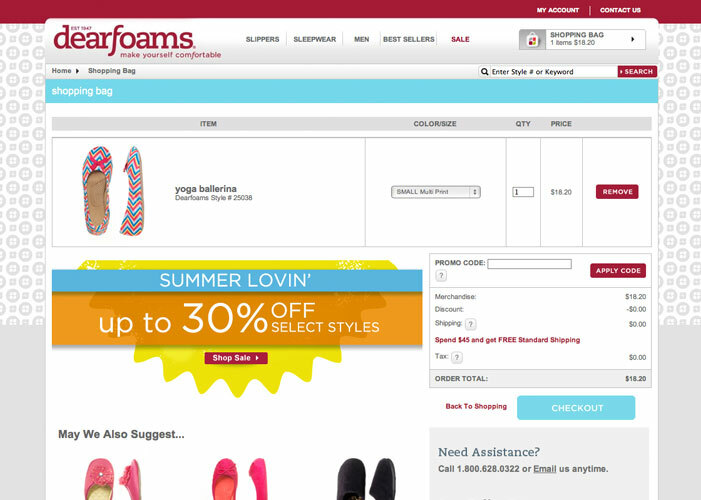 RG Barry selects Studio Spiral to create dearfoams.com Ecommerce workflow and front-end online experience. Usability is important to us and uniting it with strong branding is what we do, that’s why we wireframed a unified user interface with "Best In Class" shopping strategies and tools. 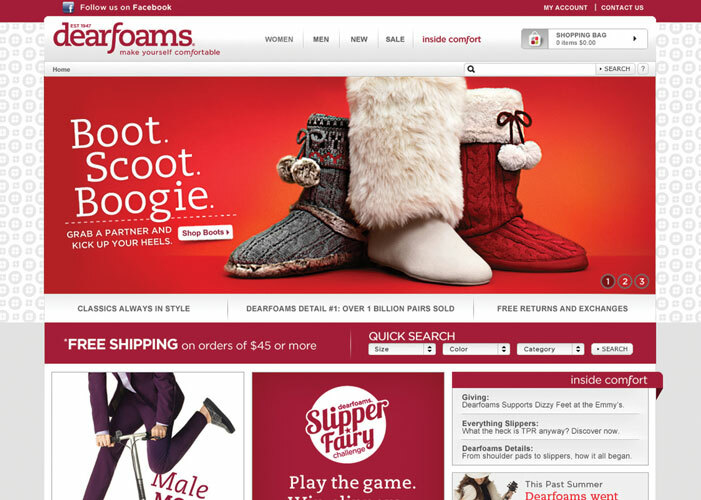 We architected, delivered creative and integrated SEO for an optimized user experience utilizing the Jagged Peak EDGE™ Ecommerce Platform. 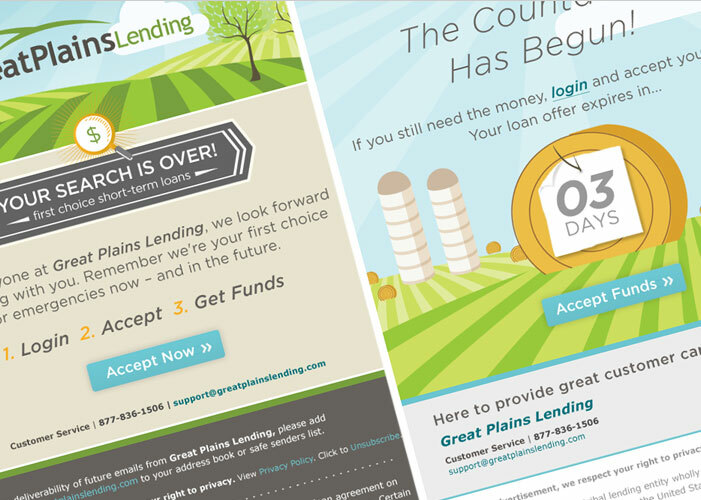 The new online environment incorporated several ways to market new products, link to external brand pages and integrate social channels. 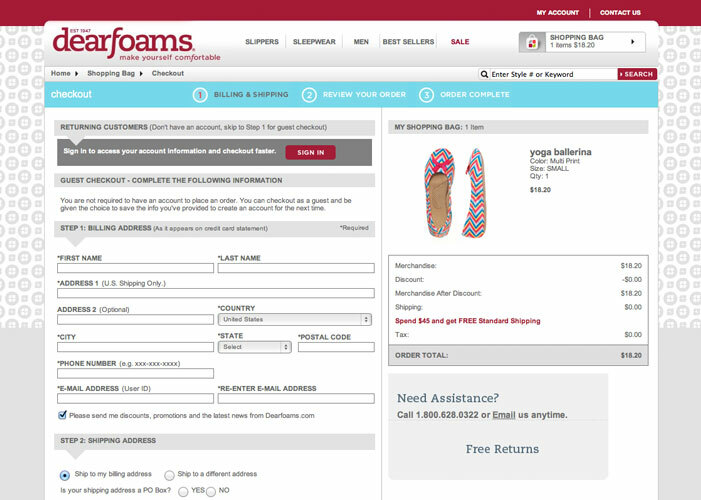 We wanted customers to find their desired product in as few steps as possible so we incorporated optimized tools like drop down navigation and quick search to narrow products further — by size, color, or category. 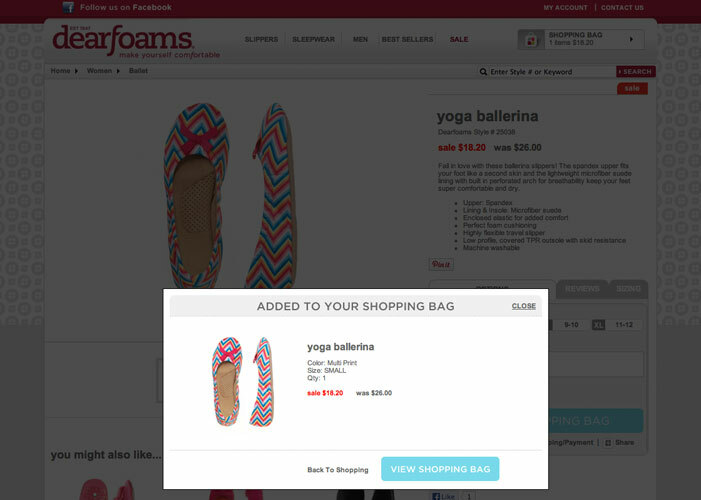 Global features included promotional messaging, mini shopping bag and social footer links to lead consumer to follow Dearfoams social channels. 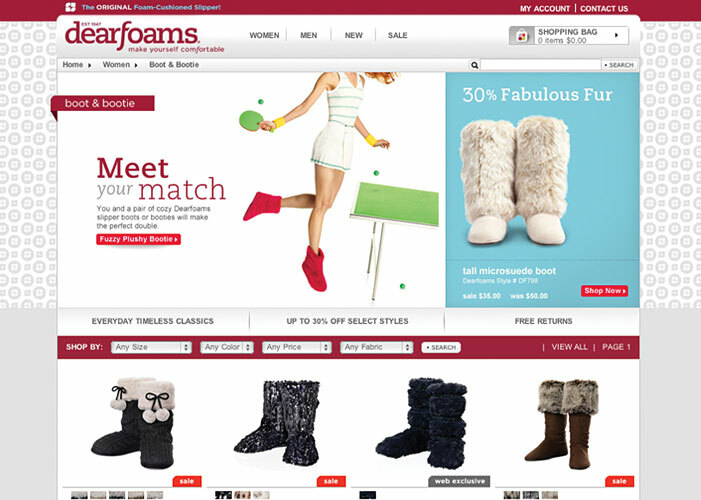 After launching dearfoams.com, online sales increased by over 40% and moving forward was utilized to deploy additional RG Barry brands storefronts. 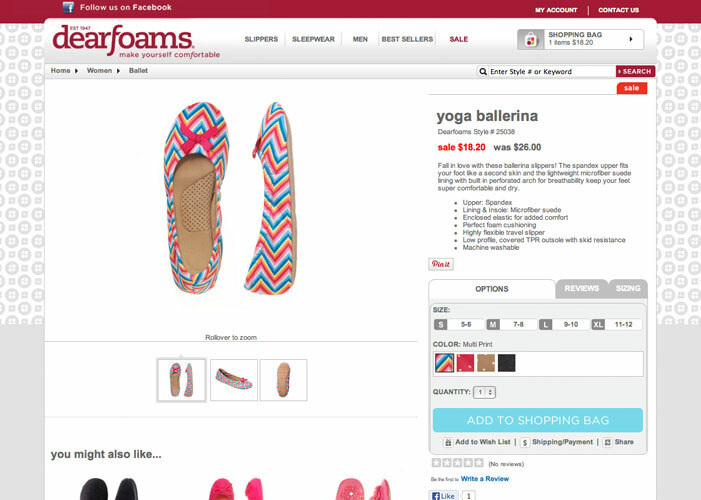 By using the same customized EDGE platform, multiple brands had the flexibly to streamline their internal processes and self manage the front-end while integrating the back-end. Consistency is also the key for success; we developed an online branding manual to be distributed to internal teams, agencies and other third-party suppliers to be their guide for updates. 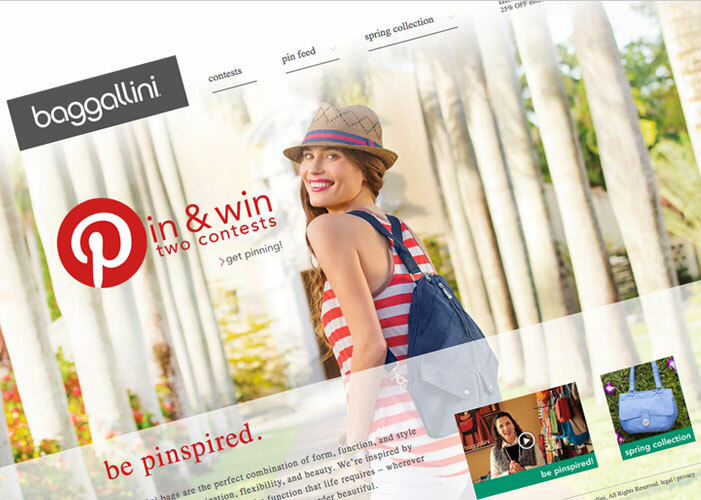 Baggallini-Sweepstakes.com - Pin & Win Contest: 8 weeks of baggallini baggspiration and baggallini designabagg.